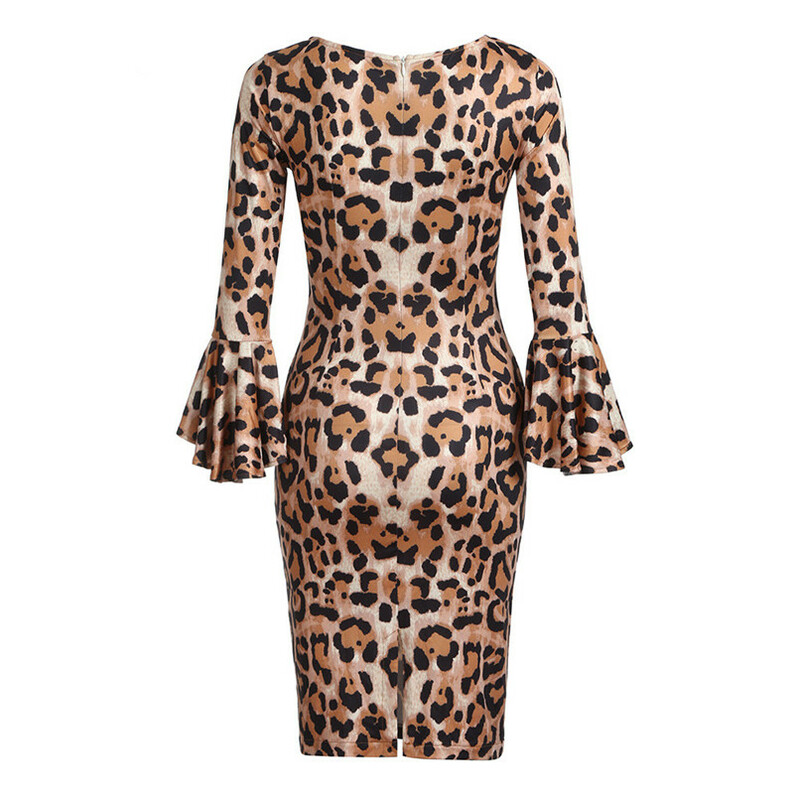 Be the center of attention in this sheath dress, features leopard print. 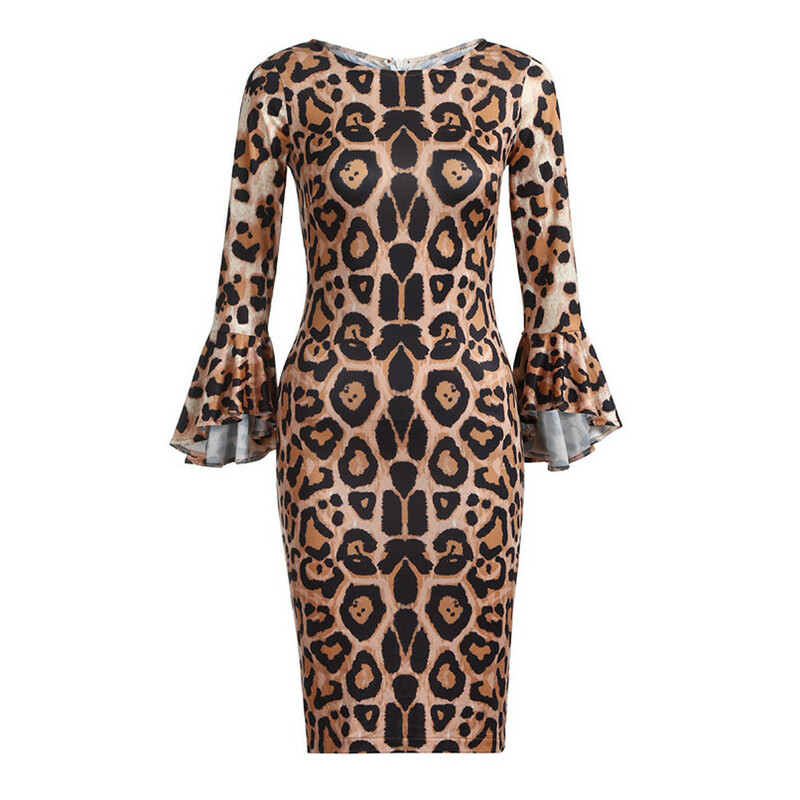 Elegance and simplicity is the focus on design, is a casual wear wild single items. 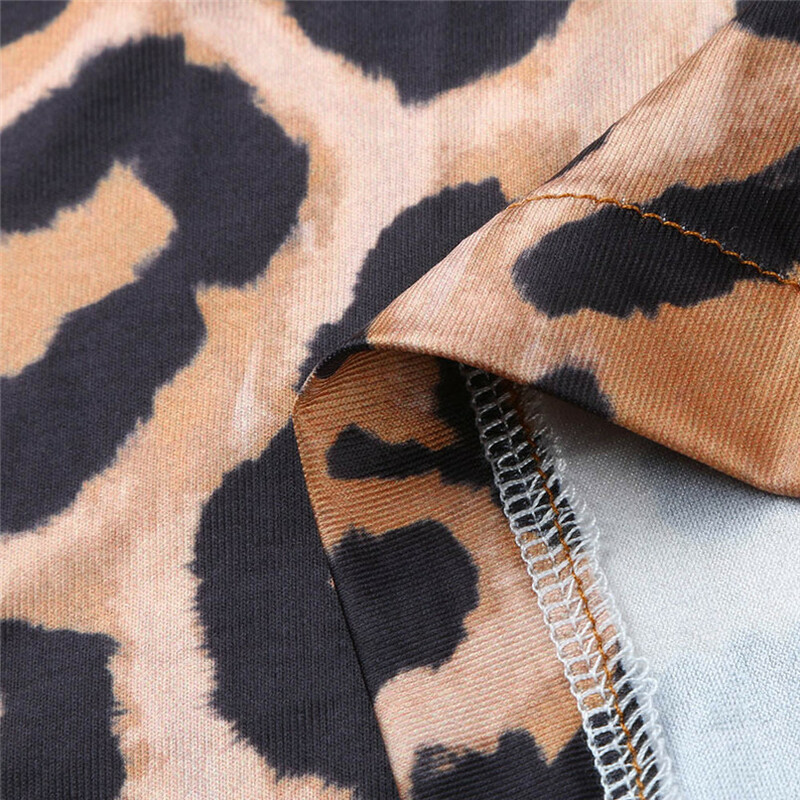 Lightweight and non-elastic fabric. Loose fit silhouette. S 4 8 34 86cm/33.9" 68cm/26.8" 38cm/15.0" 42cm/16.5" 92cm/36.2" 99cm/39.0"
M 6 10 36 92cm/36.2" 74cm/29.1" 39cm/15.4" 43cm/16.9" 98cm/38.6" 100cm/39.4"
L 8 12 38 98cm/38.6" 80cm/31.5" 40cm/15.8" 44cm/17.3" 104cm/40.9" 101cm/39.8"
XL 10 14 40 104cm/40.9" 86cm/33.9" 41cm/16.2" 45cm/17.7" 110cm/43.3" 102cm/40.2"
XXL 12 16 42 110cm/43.3" 92cm/36.2" 43cm/16.6" 46cm/18.1" 116cm/45.7" 103cm/40.6"